Independent Renault Specialist for new and used cars and vans – Talk to us First! 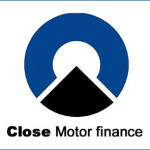 Low Rate Finance Available on all vehicles and Part Exchange Welcome. Extended Warranties available on all vehicles. We also have a range of Part Exchange vehicles to clear. Call us on 01558 824499 for more details.